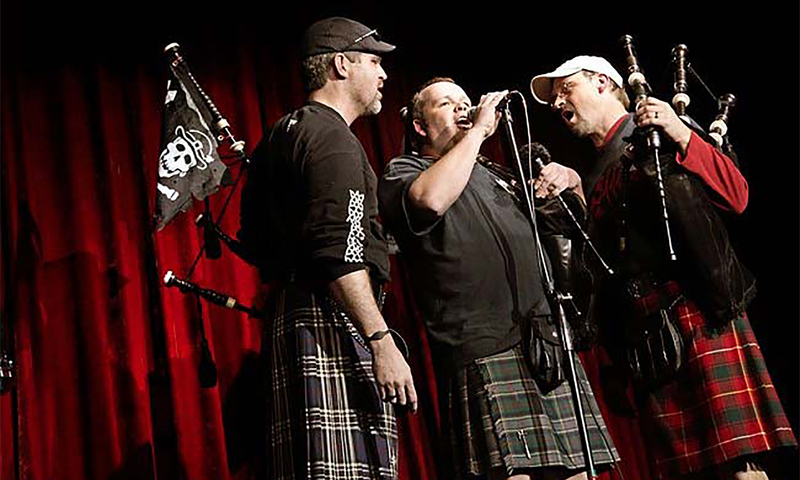 The Salt Lake Scots (Salt Lake Valley’s pipe band) have a new website up. At least I think it’s fairly new. I used to check periodically, but their site always said it was under construction. Well, there’s a website there now, and it looks pretty good. The band has chosen its custom tartan as the background, and while there are a few pages that are incomplete, most are up. I like that there are individual pictures of the band. This will save me from embarrassment in the summer when I meet members of the Scots, and have to remember their names! On the subject of local band websites, my own band has a new picture on its front page. The picture chosen for our upcoming concert is of an ornate castle by a loch in Scotland. The White Peaks Centennial Pipe Band, out of Payson, also has a new rather spiffy image on its front page, and I think the Galloway Highlanders, from Clearfield, have updated their website also. Spring has sprung, and websites are blooming all over. Good luck for the coming season of competition everbody. I just read your review of the Salt Lake Scots Website and wanted to thank you. I’ve tried to make it informative and easy to use. The portions of the website that were incomplete are now either complete or have been removed. By the way, congratulations to Wasatch and District for their wins in Las Vegas. I happened to be reviewing piping websites in Utah and came back to your piper pride site. Still very well done and I need to visit more often. I’m not sure if you noticed that the Salt Lake Scots have designed a new website. It is still at the old url, but it is under a new webmaster. I have not been involved in the design or upkeep of the new site. Thank you for your comment, Dave, and I had seen the Scots’ new site – very nice! It was also good to hear the Scots playing so well this past weekend – congratulations to you all!